These photos were taken Saturday and Sunday, October 6 and 7, which were days 20 and 21 of my Craft Beer Tour 2018. When I left Oregon I set my GPS for Eureka so that I could visit one of my oldest friends (Cathy) and see what had changed in their craft beer world since my last visit in 2010. It turns out not much has changed; in fact the only brewery I could find was still Lost Coast Brewery, which is where we went since Cathy does not drink but would join me for lunch. Happiness is having the UPS guy at the front door with another package from Dust Bowl Brewing Company; yesterday the package included Dust Bowl’s first introduction of Taco Truck Lager in 12 oz. cans. 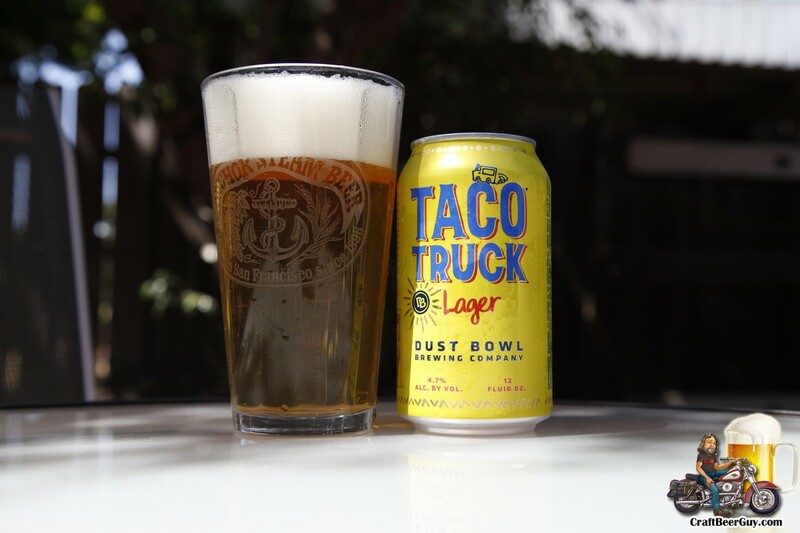 Taco Truck Lager was first introduced in 2016 in 12 oz. bottles/six-packs and draft. Targeting the easy-drinking, “backyard beer” fan, Taco Truck Lager quickly pulled into the top-selling spot for the Northern California craft brewery. As someone that is not particularly a fan of lagers, this one was quite tasty; I could easily drink more than one, and that is saying something when it comes to lagers. Available year-round, the Mexican-style beer has resonated with loyal lager fans as well as beer drinkers who are new to craft. 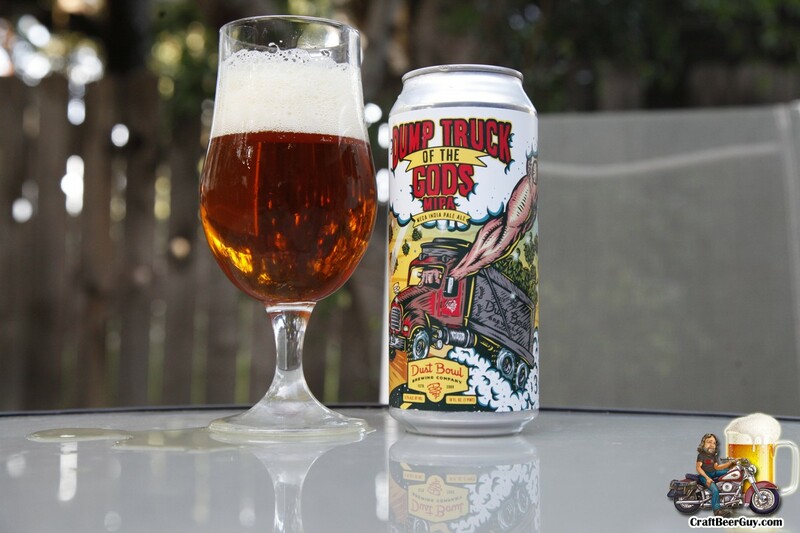 It’s approachable and sessionable at 4.7% ABV. The brewery’s data provides every indication that the cans will be well received. Wholesalers and consumers alike want more cans and the summer launch falls in line with outdoor activities – the number one draw for can consumption. 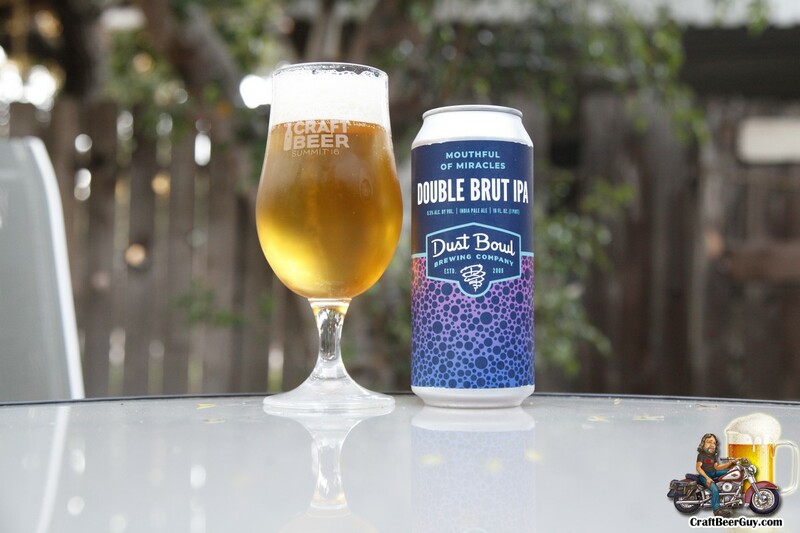 I was first introduced to Dust Bowl Brewing Company on a road trip I took back in 2014. While I have not made it back to Turlock in a while, I do keep in contact. Yesterday, May 31, Dust Bowl Brewing announced the release of Lateral 3, the third in a series of hazy IPAs from the Northern California craft brewery. Packaged in pint cans, the Lateral Series offers beer fans a different take on the popular hazy IPA style with each release. 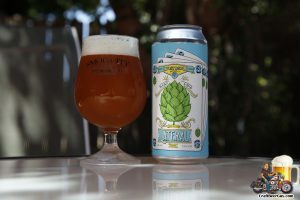 This particular self-guided craft beer tour will be a five (5) part series that covers a visit to 22 production breweries and brewpubs between Los Angeles and Santa Rosa. Let there be no mistake, there are far more than 22 craft breweries in that geographical area but we had a set amount of time. It was another of those “so many beers, so little time” situations. When I set out from LA there were three basic routes to take; I could drive Interstate 5 which is definitely the fastest route but the desert is a barren wasteland when it comes to craft beer. Taking US 101 up the coast takes significantly longer than I-5, but there are barrels and barrels of beer all along the way and if time is of any importance, there are far too many distractions. The third option and the one I opted to take was California Highway 99. When I opted to take 99 I knew the drive would take a little longer, but I also know that I would be able to find some craft beer along the way. This particular route was set going northbound, but you can easily reverse the map provided below and plug in your own starting point. The locations visited on this leg of the self-guided craft beer tour were Lengthwise Brewing in Bakersfield, Full Circle Brewing Company in Fresno and Dust Bowl Brewing Company in Turlock. 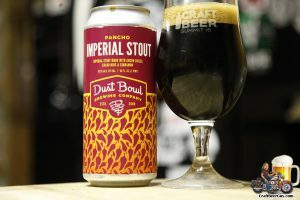 You can find the photos of the three locations at http://craftbeerguy.com/lengthwise-full-circle-dust-bowl-brewing/. Since I was going up to Santa Rosa for a project about the Pliny the Younger release, I decided to leave a little early and see what craft beers I could discover along the way. I could have taken the easy route and gone along the 101 but there are so many quality brewers within the first 200 miles I would never make it on time. Instead, I decided to travel up CA Hwy 99 through Central California. I do not really travel Hwy 99 much so I did not know what to expect. I decided that my first destination would be Lengthwise Brewing, a brewpub in Bakersfield since it is a couple hours out from the beach and some food would be a good thing. We tried a flight and really enjoyed their Harvest Moon Wheat Ale (although not sure why they added the lemon slice) and Kern County Crude Porter. They also brewed root beer which was quite tasty. They gave me a taste of their new Zeus Imperial Ale which was a very smooth Double IPA; I had to get a bottle. We also had a chicken salad that was great. I don’t know the name, but had artichoke hearts with it and was big enough for the two of us. It was a great start for our journey. A couple hours north we found ourselves at Full Circle Brewing Company, a microbrewery in Fresno right off the 99. Full Circle has been around about 15 years and is probably Fresno’s best kept secret. I could go on and on about what a great time we had there, the 12 different brews on tap going back to 2006, the meads and the hospitality but suffice it to say, you owe it to yourself to stop by and check this place out. The owner and head brewer Bill will tell you all about beer and its history and beertender Kenny will ensure you have a great time. It really was a highlight of the day.